Published on December 19, 2018 in Australian News, Branding and News. 0 Comments Tags: Paspaley, Paspaley Pearls. Meghan Markle counts Paspaley Pearls as a favourite, according to Australian Vogue. Published on January 30, 2013 in Australian News, Branding, General, News and Research. 0 Comments Tags: Australian Cars, automotive industry, Camry hybrid, efficient batteries, electric vehicles, fuel-efficient vehicles, Green Motoring, green vehicles, Hybrid, hybrid car reliability, Hybrid Cars, more efficient electric motors, Prius hybrid, sporty hybrid cars, sporty hybrids, supercapacitors. The move to more fuel-efficient vehicles looks to be here to stay. At the Detroit auto show in 2010, there were no trucks or SUV debuts, and Stefan Sielaff, Audi’s chief designer, said, “I have a feeling that there is a paradigm shift.” Australia certainly requires such vehicles. The Australian Competition & Consumer Commission stated that Australia would probably become ever more reliant on imports of refined fuel. 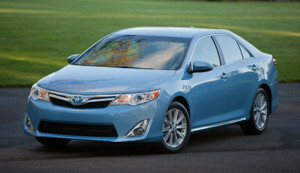 Worldwide, sales of hybrids will increase eightfold by 2018, according to the research firm, IHS Automotive. Pure electric vehicles, it added, could be only two-thirds as popular. They can run for only between 20 and 50 miles and have larger batteries. The Commonwealth Scientific and Industrial Research Organisation said that electric and hybrid cars would play an increasing role in the fuel industry within the next three decades, eventually becoming the dominant element. Australia could become a centre of excellence for electric and hybrid vehicles. A government-sponsored plan, Automotive Australia 2020 – a Technological Roadmap, said that Australia had some strengths in the area but recommended 32 measures to secure the future of this aspect of the automotive industry. Among these were the development of supercapacitors that store energy and more efficient and lightweight batteries and electric motors. The report predicted consolidation and restructuring of Australian companies involved and greater competition from low-cost producers such as Russia, India, Brazil and Thailand. Volkswagen (VW) was initially reluctant to enter the market for cars using electric power, but will now deploy a “considerable” proportion of its $9.2bn annual budget in this area. It will launch a minimum of two high volume hybrids over the next few years. Its subsidiary, Porsche, will act similarly, so there will be sporty hybrids targeted at wealthier customers. VW’s electric car chief, Rudolf Krebs, said that hybrids were a trend that could not be reversed. Australians have been less enamoured of hybrids than was foreseen. In 2012, Peter McGregor, Toyota’s Australian Divisional Manager, said sales had fallen short of expectations, but hoped the situation would improve due to a facelifted Prius, a $1,000 price cut for the Prius and the new Camry hybrid. Hybrids, he said, were a vital component of the future of his company and the industry. The global marketing information company, JD Power, said that reductions in cost would be key to converting interest in hybrids into sales. As reported by the Herald Sun, hybrids could already be benefiting from the trend. Glass’s Managing Director, Santo Amoddio, declared that hybrids were already selling more than twice as more to fleets than to private buyers but were now increasingly on the shopping lists of private buyers due to growing awareness and appreciation of their reliability. He saluted Toyota’s re-pricing of the Prius and Camry. 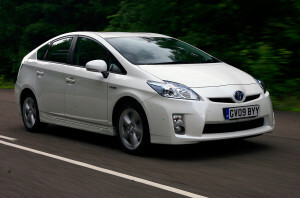 Research into the kind of person who buys a hybrid was reported by www.smartcompany.com.au. JD Power found, after interviewing more than 40,000 car owners, that people who purchase hybrids tend to be older, richer and more educated than the average car buyer: 54 years-old, university-educated and with above-average wealth. They are also proud advocates of green vehicles all-too-keen to tell others of their benefits. Another study, this time by Mindset Media, discovered that hybrid drivers were free-thinking, spontaneous and creative. 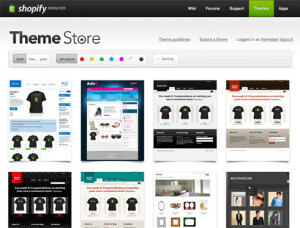 Published on April 24, 2012 in Blogging Ideas, Blogging Tips, Branding, Cool Websites and Blogs and SEO. 3 Comments Tags: Cesar Millan, Dog Day Care, Dog Whisperer, Paddington Pups, Wags Day Out. It’s a great way to tell a story of what is special about your Dog Day Care in Southwest Brisbane. Published on September 10, 2010 in Blogging Ideas, Branding and Case Studies. 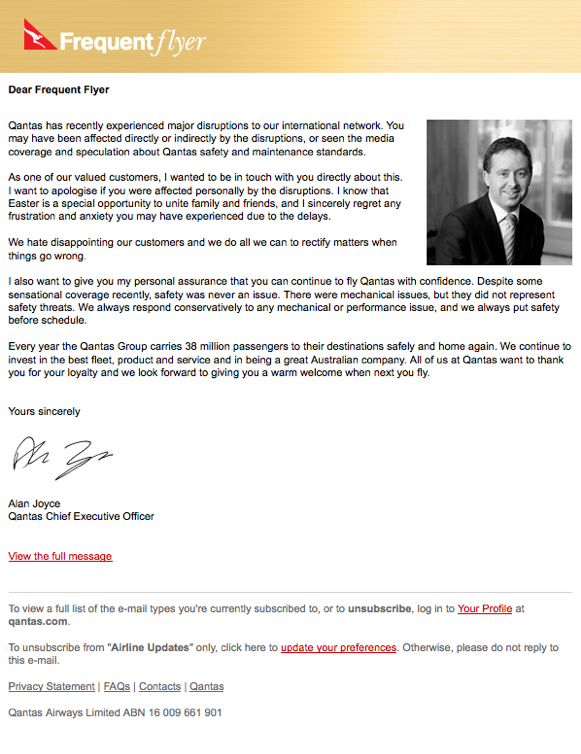 6 Comments Tags: Qantas, Qantas Easter. I have to state up front that I’m a Qantas Platinum Member and consider it one of the world’s top airlines. I think this is a great way to “come clean” about any mistakes, errors or shortcomings. The worst thing that can be done is – nothing. Published on May 25, 2010 in AustralianBlogs.com.au, Branding, General and News. 4 Comments Tags: Australian Blogs. As you can see, we’ve updated the Australian Blogs Banner… We thought it was time we gave it a mini face lift. Let us know what you think by posting a comment to this blog post. If you have ideas and suggestions about other themes and iconic images we should include, we’d love to hear them! Published on April 17, 2009 in Blogging Tips, Branding and Cool Websites and Blogs. 0 Comments Tags: Blog Branding, Blog Like A Pro, Blog Tips, Blogging Tips, Branding Your Blog, Internet Marketing, Marc Dussault, Professional Blogging Tips, Professional Blogs. If you’re blogging as part of a corporate strategy, you need to make sure you are consistent with your branding, otherwise you will lose credibility, preeminence and yes sales. As an Exponential Growth Strategist, I help people get extra-ordinary results by doing out-of-the-ordinary things leveraging exponential marketing strategies on the Internet as well as in business. Blog Branding: How Important is it? That depends. It depends on why you are blogging in the first place. If it’s just a fun thing you’re doing, then it doesn’t much matter, but if it’s to make money or reinforce a service or product you’re selling then it is VERY IMPORTANT. Without spending heaps, you can get really cool stuff done by professional web designers like KillerCovers.com. I guess the only point I want to make today is that if you want to be taken seriously, you just have to LOOK the part. The reason I say this is because without proper branding, you’re going to lose people ONCE they get to your blog – within seconds, people get a feel for it and either stay or click away. You only have seconds to make that FIRST impression. Published on January 16, 2009 in Blogging Ideas, Branding and Case Studies. 0 Comments Tags: Blog Ideas, Blogging Ideas, Marc Dussault, Persona. Ever wonder why some blogs are really cool to read while others are a bore and waste of time? If you don’t have enough people COMING to your blog and REGISTERING to your blog, you might not have developed a ‘persona’ that is congruent and authentic that resonates with your audience. It’s a skill that I teach in our Killer Kopywriting Workshops, a Platinum Program event that is usually closed to the public, but when you call Gulliver on 0401 923 582, IF seats are available, he might be able to get you in to the next one in Melbourne on Wednesday 28 January from 10 AM to 5 PM so you can fly in and out on the same day from inter-state without having to pay for a hotel room. But that’s not why I’m writing to you today. The persona that you create will determine who subscribes to your blog. One extreme example is The Rich Jerk. He created this persona and people who are into that ‘persona’ will go to his site and register on his blog. So there you have it, create a persona and reap the rewards of a dedicated group of subscribers who will not only read your blog, but send people to it like I just did. * If you don’t have a ‘persona’, then you need to have something else to get people to keep coming back, that is the subject of a future post – stay tuned and stay subscribed!